Alaska Gov. 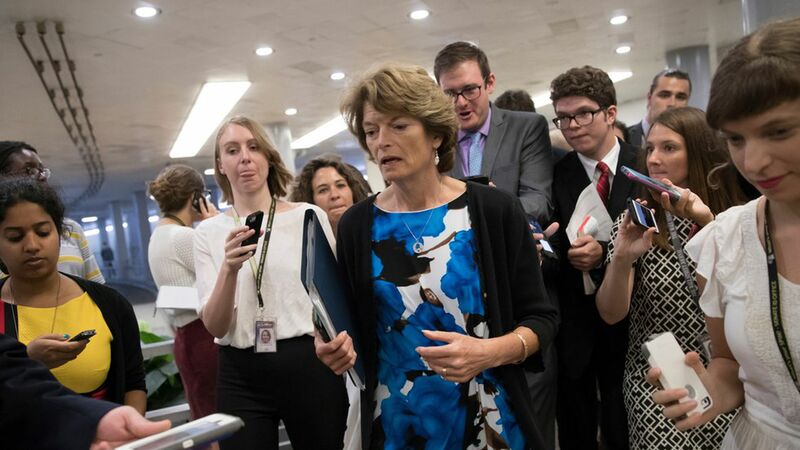 Bill Walker formally opposes the Senate's latest repeal-and-replace bill — the fate of which may hinge on Alaska Sen. Lisa Murkowski. He signed on to a letter today from a bipartisan group of governors, urging Senate leaders not to take up Sen. Lindsey Graham’s bill and instead support "bipartisan efforts to make health care more available and affordable for all Americans." Why it matters: Winning over Murkowski was already a tough but critically important task for GOP leaders, and Walker's opposition gives her even more cover to oppose the latest bill. If she ultimately opposes it, leadership will need to wrangle two "yes" votes from some combination of Sens. Susan Collins, John McCain and Rand Paul. More: Nevada Gov. Brian Sandoval also signed the letter. When the repeal-and-replace saga started, Sandoval and Sen. Dean Heller teamed up to oppose an early GOP repeal bill because of its Medicaid cuts. We've come a long way: Sandoval is now publicly opposing a bill Heller has cosponsored, which makes far deeper Medicaid cuts than the ones Heller once opposed.